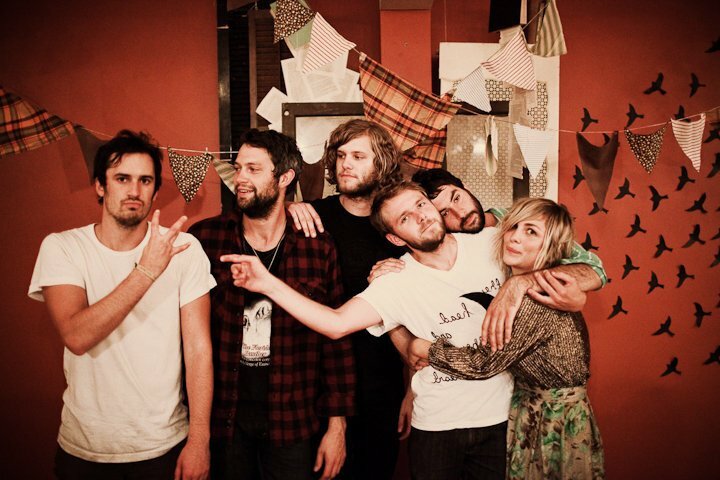 The Head and the Heart goes on the Harbor Stage at 4:20 on Sunday. Stage decisions on the second day of the festival are even harder than the first. Here’s a run down of my picks. 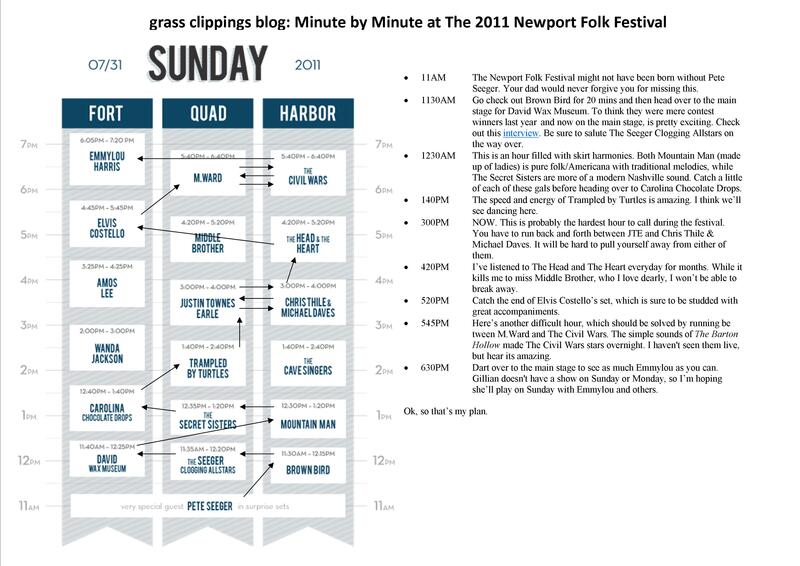 11AM – The Newport Folk Festival might not have been born without Pete Seeger. Your dad would never forgive you for missing this. 1130AM – Go check out Brown Bird for 20 mins and then head over to the main stage for David Wax Museum. To think they were mere contest winners last year and now on the main stage, is pretty exciting. Check out this interview. Be sure to salute The Seeger Clogging Allstars on the way over. 1230PM – This is an hour filled with skirt harmonies. Both Mountain Man (made up of ladies) is pure folk/Americana with traditional melodies, while The Secret Sisters are more of a modern Nashville sound. Catch a little of each of these gals before heading over to Carolina Chocolate Drops. 140PM – The speed and energy of Trampled by Turtles is amazing. I think we’ll see dancing here. 300PM – NOW. This is probably the hardest hour to call during the festival. You have to run back and forth between JTE and Chris Thile & Michael Daves. It will be hard to pull yourself away from either of them. 420PM – I’ve listened to The Head and The Heart everyday for months. While it kills me to miss Middle Brother, who I love dearly, I won’t be able to break away. 520PM – Catch the end of Elvis Costello’s set, which is sure to be studded with great accompaniments. 545PM – Here’s another difficult hour, which should be solved by running be tween M.Ward and The Civil Wars. The simple sounds of The Barton Hollow made The Civil Wars stars overnight. I haven’t seen them live, but hear its amazing. 630PM – Dart over to the main stage to see as much Emmylou as you can. Gillian doesn’t have a show on Sunday or Monday, so I’m hoping she’ll play on Sunday with Emmylou and others. Ok, so that’s my plan. Here’s a printable PDF for Sunday (see below for Saturday).